Making your business irresistible — Are your employees inspired to come to work? Do they know your purpose, cause, or belief that inspires your business to operate. Do they know your “why”. Most employees arrive each day knowing what and how to do their tasks, but are they inspired or motivated with a sense of purpose? When we talk with CEOs and people in charge of culture, they talk consistently about the war on talent and retention issues. They carefully watch their Glassdoor ratings. All over the world businesses are trying to build teams which are diverse and inclusive. We believe the issue of “engaging people well” is becoming one of the biggest competitive differentiators in business. People want to be dealt with as people, not numbers or assets. Organisations have to communicate a sense of purpose, mission, and values. Train managers and leaders to live these values, create innovation and then carefully select the right people that fit. And once people join, you have to continuously hypothesise, improve, tweak or redesign the work environment to keep it modern, engaging and enjoyable. LAUNCHING HCF HEALTH INSURANCE'S "WE'RE FOR HEALTH, NOT FOR PROFIT" PURPOSE TO EMPLOYEES. 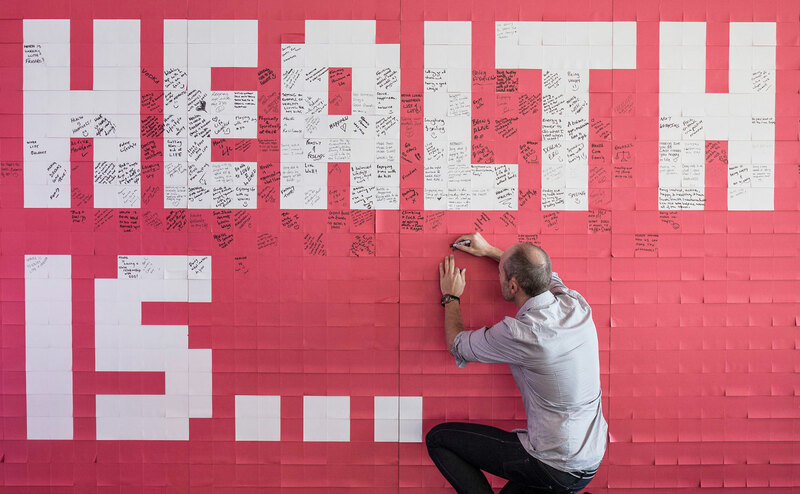 WE CREATED THE STORY NARRATIVE TO EDUCATE EMPLOYEES ON LIVING THE COMPANY'S PURPOSE THROUGH AN INTERACTIVE EVENT, COMMUNICATIONS AND BRANDED COLLATERAL. Enter End of Work. We believe people are now the product. Part of this shift is redefining our perspective on an employee and their work environment. Rather than consider people as “hired hands” we want to “inspire and engage” (the whole term “human resources” has this old-fashioned connotation). High-engagement companies understand that employees are the essence of products and services. They develop, deliver, and support what our customers experience every day. We can’t “retain” people, we can only “attract and inspire them.” We don’t want to just “educate them”, we really want to “enable them to learn” and give them the opportunities to develop. Take for example the US business Zappos, Zappos pays employees $3K to leave if they aren’t committed to the purpose. After one week of work, Zappos employees are presented with “the offer.” If they quit on the spot, they will be paid for their days worked plus a $3K bonus. This practice is designed to ensure that all employees are committed to furthering Zappos’ culture. So far, only 2-3% of employees have taken the company up on the deal. WE FACILITATED STRATEGIC WORKSHOPS FOR MIRVAC PROPERTY GROUP. 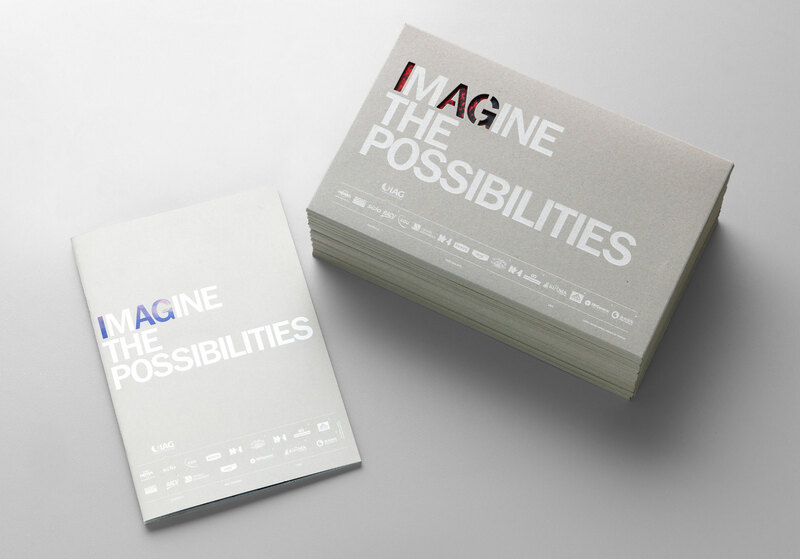 WE CO-AUTHORED AND DEFINED THEIR PURPOSE AS "REIMAGINING URBAN LIFE". WE THEN CREATED THE INTERNAL EVENT AND COMMUNICATIONS 'THE MIRVAC WAY', TO LAUNCH THEIR PURPOSE, KEY INITIATIVES AND STRATEGIC DIRECTION TO AROUND 800 EMPLOYEES SPREAD ACROSS FOUR STATES. What excites us is defining it on all different levels. We really want to help our clients businesses become “irresistible”. At End of Work we learnt long ago that employees plug into their work at different levels and for different reasons. Your tech team, may connect to their work at a micro level to solve problems they’re asked to solve. They may have no idea about your company’s latest strategy, mission and goals, and care even less. That’s fine. You don’t need them to sing the company’s hit song. You just need their mind and energy plugged in where it counts, you need to give them a sense of purpose at their level, that in turn effects the bigger picture. Let’s change our thinking and move beyond the concept of engagement. If you’re really to achieve the goal of making your organisation “irresistible” you can make employees engage with a sense of purpose. Inspiring and engaging employees to act with purpose is the one competitive advantage that turns good companies into great ones and mediocre service into a memorable experience. While we are not asking your employees to dance to Robert Palmer’s hit song “Simply Irresistible”. We create ideas for organisations that are a catalyst to help clients to deliver their business and people strategies by understanding, attracting, recruiting and engaging top talent. 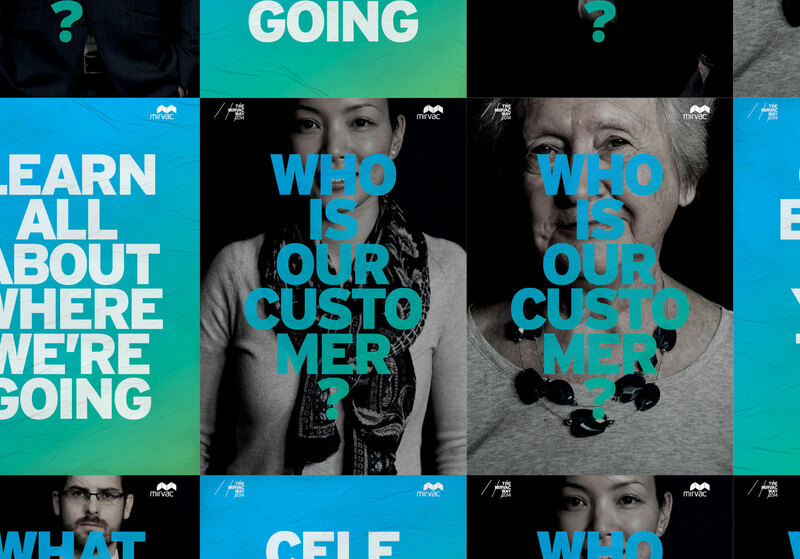 For our recent Purpose defining work for Mirvac click here.